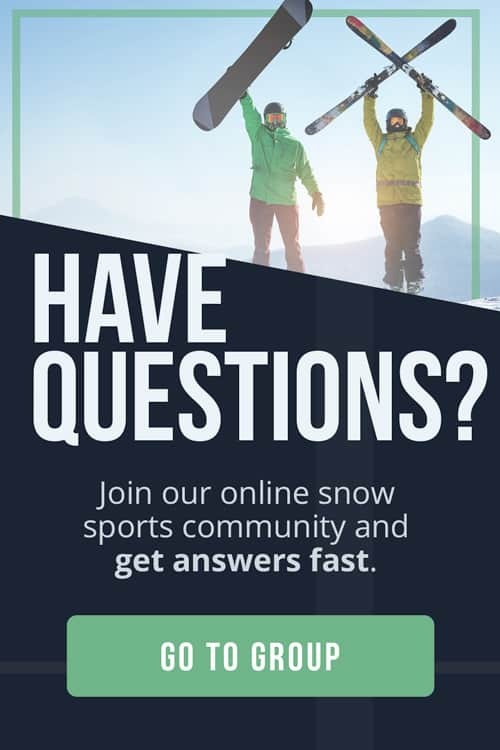 You’ve invested big bucks in your skis. So how do you protect your investment during travel? Ski bags, of course. Our goal at The Adventure Junkies is to help you choose the best ski bag for your travels. That way your skis will arrive safe at slopes. Bags also limit scratches to ski tops, dings to metal edges, and gouges in bases. It’s important to choose a bag beefy enough to handle your mode of travel, be it by air or by car. If you have a quiver of skis, you’ll want a bag to fit them. 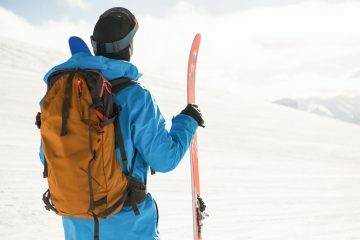 We’ll give you an overview of the best ski bags on the market and provide you with considerations and reviews to help choose the best ski bag for your pocketbook and needs. Ski bags can be soft or hard-sided. Soft bags are made from cloth fabrics while hard-sided bags are made from plastics. Both are designed to protect skis from beatings during travels. Soft-sided ski bags usually have strong exterior fabrics made from polyesters or synthetics. If polyesters, look for those at least 600 denier. The higher the denier, the tighter the thread weave and therefore the tougher fabric. Lower deniers are thinner fabrics that can be easily abraded; higher deniers are more resistant to rips and tears. Better quality bags will be padded and lined on the interior with water-resistant fabrics to prevent the absorption of snow and allow for easy wiping out. Non-padded ski bags are best used for car trips rather than airline travel that subjects both the skis and bag to rough baggage handling. Hard-sided ski bags are made from lightweight plastics such as high density polyethylene (HDPE). HDPE forms a hard shell that protects the skis. For car travel, you can lash them to roof racks. For airline travel, they offer the sturdiest protection. Padding, even clothing, helps to prevent skis from rattling around inside hard-sided ski bags. Some ski bags have wheels on one end. These are usually bags designed to fit two or three pairs of skis and therefore heavier. Wheeled ski bags allow the user to carry the front end of the bag while the back end rolls on wheels. Choose a bag with sturdy wheels with rubber, similar to those on inline skates. 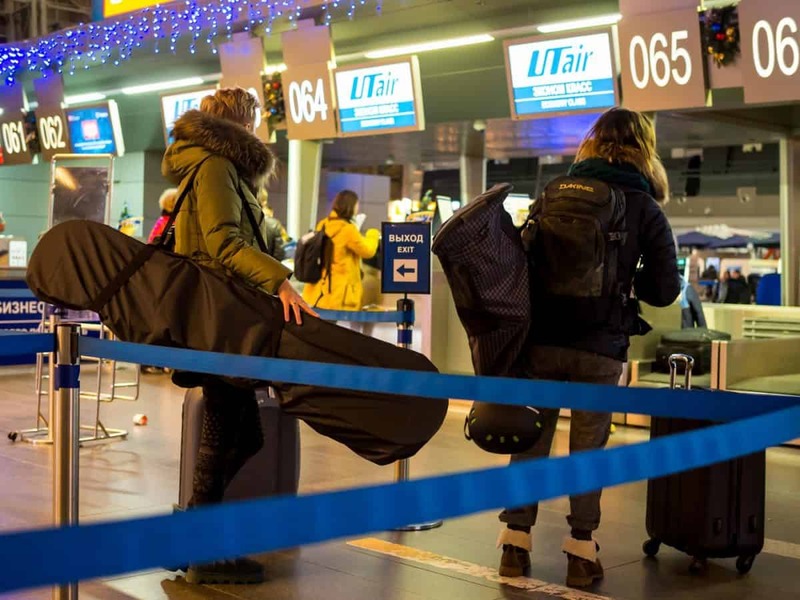 If you are looking for ease of transport, wheels will make hauling your ski bag through airports and large hotels much easier. Most bags are made to fit one, two, or three pairs of skis. In a bag designed for three pairs of skis, families can often fit two pairs of adult skis plus two pairs of child skis. Some bags can also fit one pair of skis and one snowboard, although you may have to remove the bindings on the snowboard. 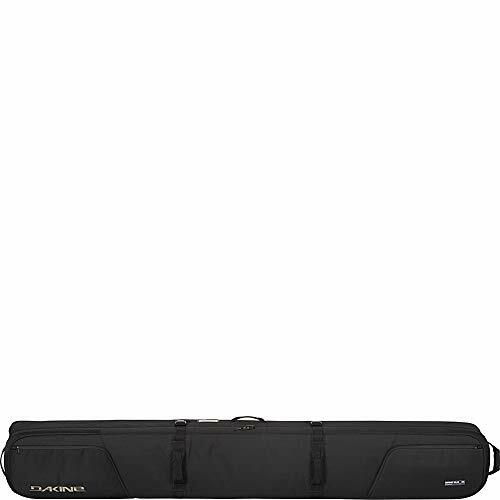 Ski bags also fit poles in special compartments or alongside the skis. With multiple skis and poles in a bag, the gear can clunk against each other during transport, sometimes causing damage. Well-padded bags include interior padding that goes between pairs of skis and poles. But you can also create your own padding with ski clothing: parkas, gloves, mitts, pants, hats, and even helmets. 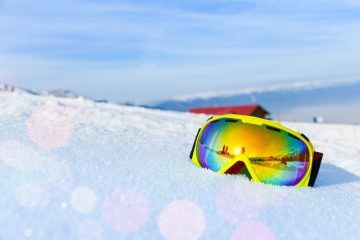 (Be cautious about using goggles for padding to avoid breaking lens or scratching them on metal edges.) 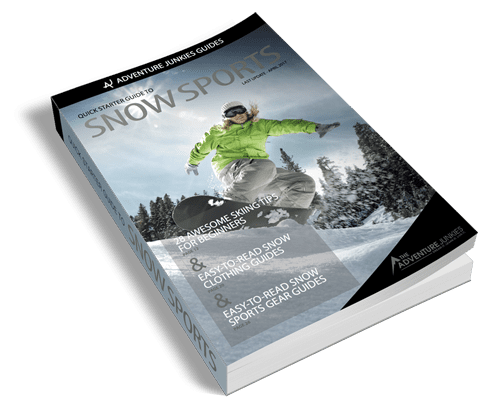 Savvy air travelers often eliminate a bag and extra luggage expenses by cramming their ski bags with all of their gear; however, ski boots usually do not fit in ski bags. Keep in mind that bags are not stretchy. If your skis are 186cm in length, they will not fit a bag that is 185cm in length. It’s better to have excess room in a ski bag rather than having one too short. You can always fill in the extra space with gloves, hats, pants, and parkas. Some soft and hard-sided bags are adjustable. Check the minimum and maximum length of the bag to be sure it will accommodate your ski lengths. Narrower ski bags may not fit ultra fat powder boards nor tall bindings. For these skis and bindings, you may need to purchase a ski bag designed for two pairs of skis in order to fit the one pair. 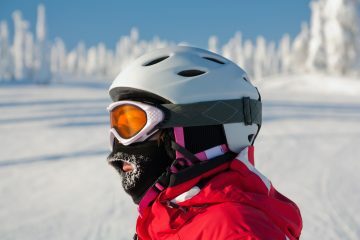 Most ski bags are black to resist showing dirt, grime, and grease. Unfortunately, when flying, your black ski bag may get lost in a sea of black ski bags. To help with quicker identification on luggage racks, you can tie on a colorful piece of webbing or put a ring of bright tape around one of the straps. A few bags come in colors that help the bag stand out from the crowd. Some ski bag companies also make matching boot bags. While matching luggage makes it easier to keep track of bags, the appearance of the bags should be secondary to the quality of gear protection they offer. Nylon straps serve two functions with ski bags. On the inside of the bags, straps keep skis and poles from sliding around or shifting inside the bag. On the outside, the straps serve to compress the contents zipped inside, thereby preventing damage from gear rubbing on gear. 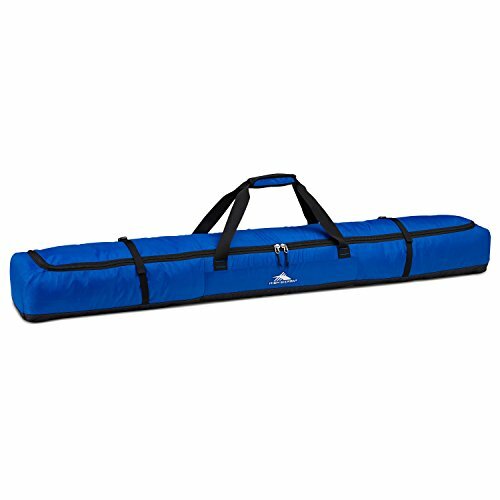 Sturdy, durable bags have interior and exterior compression straps. Budget bags tend to have minimal straps. Handles help in lifting the bags in and out of vehicles. 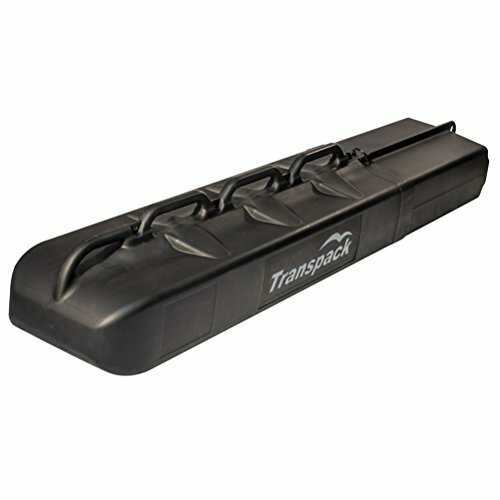 Most hard-sided ski bags come with multiple plastic handles. Soft-sided bags use nylon webbing for handles. Higher end and wheeled bags will have padded handles for easier lifting and hand comfort. Shoulder straps aid in carrying bags longer distances through airports. Added padding on shoulder straps makes them more comfortable. Hard-sided ski bags often have a webbing strap to aid in pulling on wheels.